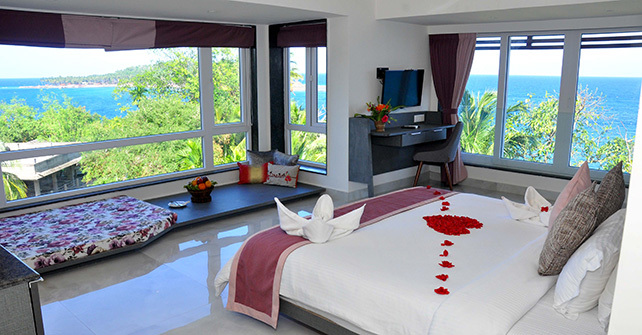 2 special Valentine rooms with majority of the rooms facing the sea. 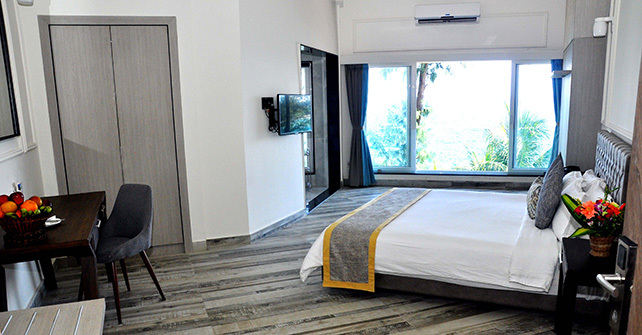 The all new Premier room affords a stunning view of the sea. 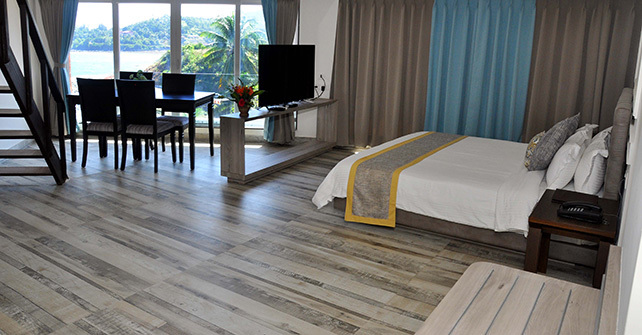 Tastefully furnished, the rooms have all that makes luxury accommodation. 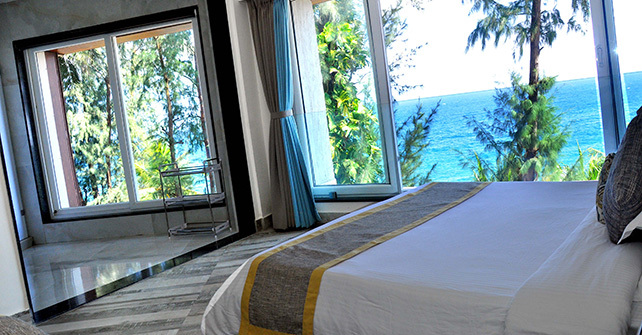 Large size stylishly appointed rooms with three fixture toilets and a wonderful view of the sea. Andaman islands is a paradise for honeymooners. 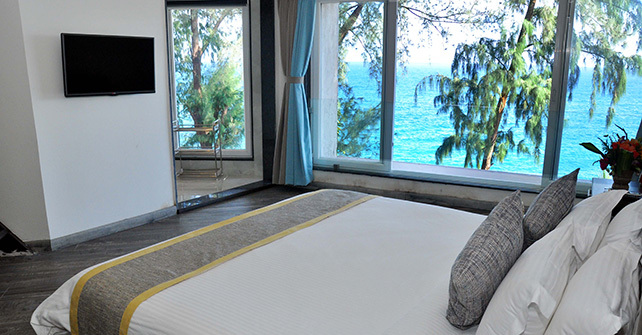 The corner rooms offer privacy and an unbelievable view of the sea from two sides. The rooms have been furnished to ensure that the newly wed spend time in a romantic setting. The family room is spacious where a family of four can spend their vacation together in great comfort. 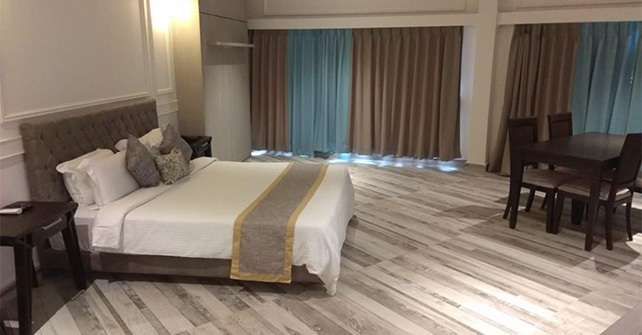 Equipped with two queen size beds, the room is comfortable for the family. The attached three fixture toilet is ideal for the family. The family suite combines the luxury of space and fine décor. 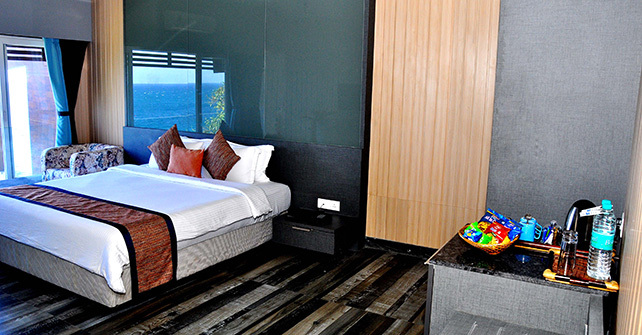 With an arresting view of the sea, the spacious suite enables the family to stay together in comfort and style. The attached three fixture toilet is ideal for the family. This is a family room with an attic where your children can have good fun. With two queen size beds, the room is ideal for a family of four to stay together comfortably. The attached three fixture toilet is ideal for the family. This suite is spacious, elegant and functional. Relax with the sounds of the waves below. If you are visiting with the family, the wooden attic is perfect for your children where they can enjoy their private space.